I had worked on this client’s front landscape and years later they called me to design for a challenging spot in their back landscape. 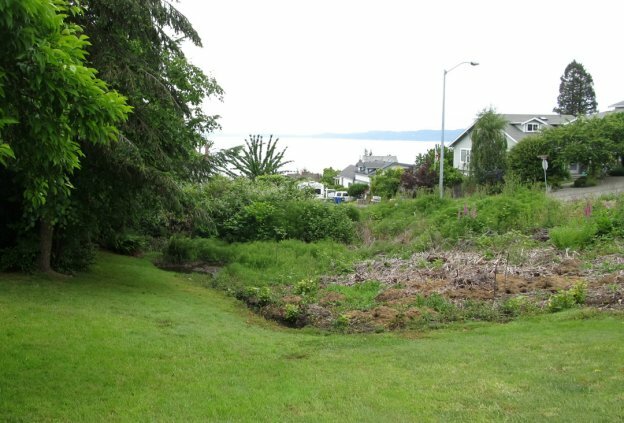 This large sloping yard had a natural ponding area at the lower end of the property. 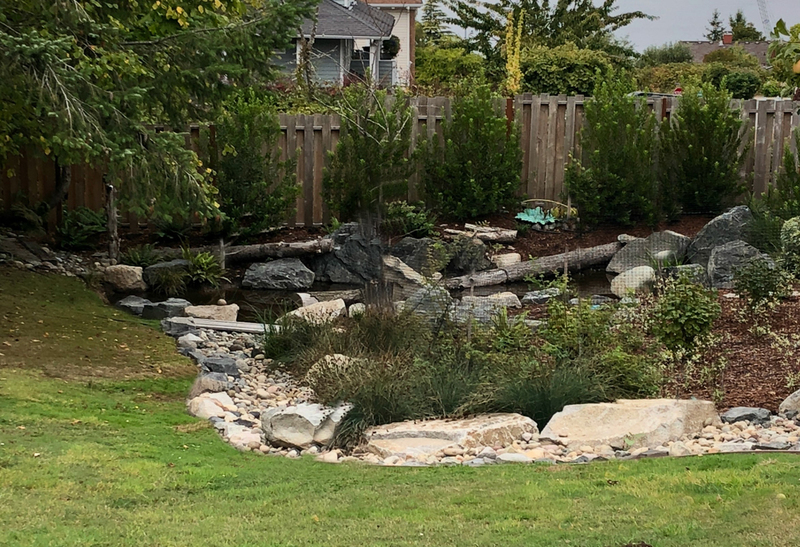 The homeowners love to invite wildlife and yet the pond was basically an unattractive muck hole that became a large pond in the rainy season. 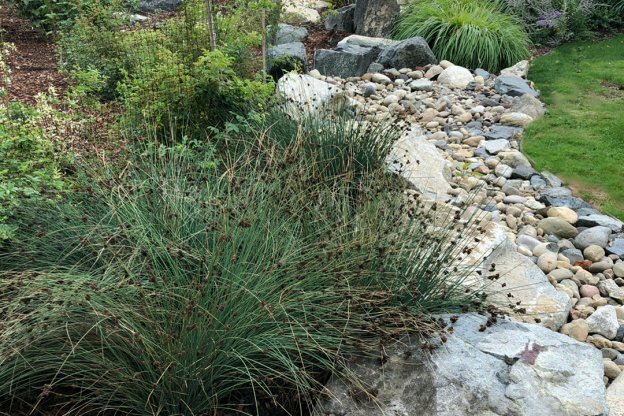 Rather than fight the watershed, we created a natural space where the water can collect and wildlife can gather. Timing of construction during late summer was important as we needed to have machinery to set the rocks in the area when it was at its driest. 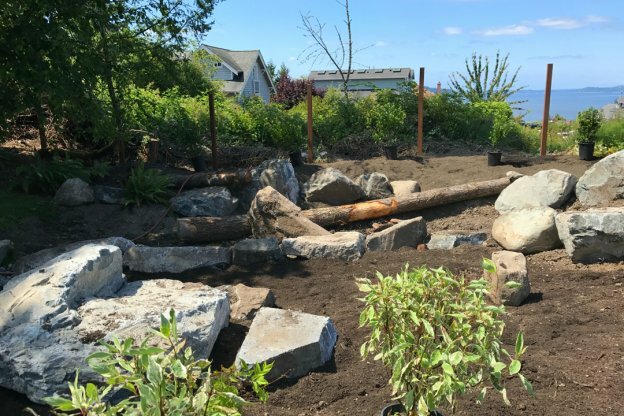 The area was excavated to enlarge the space, large boulders were strategically placed, and a berm was created along the back to help direct the water and prevent it from forming a lake in the natural area beyond the pond. 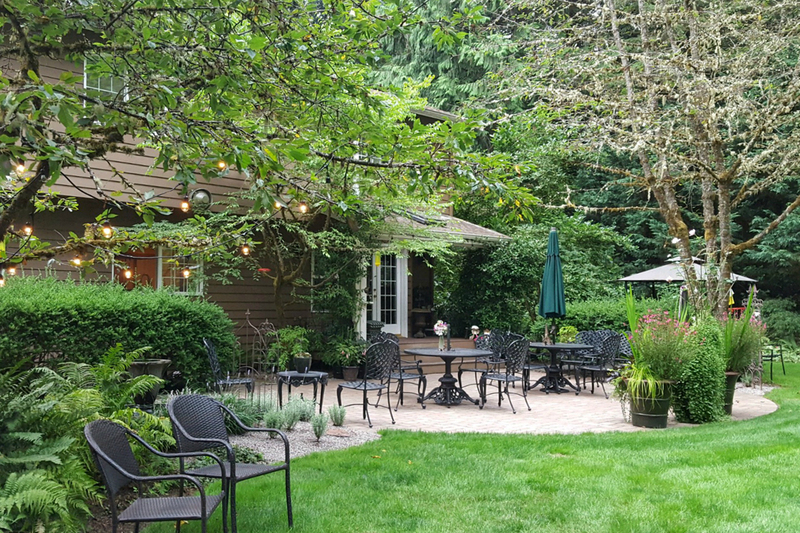 A variety of plants that thrive in moist soils were added, and logs from the property were re-purposed to give the space a very natural look. I love a good landscape renovation. This client’s garden has great “bones” and lots of elements that reflect the client’s passion for gardening. The large brick patio in the back garden needed repair and I really wanted to work around the large trees and existing water feature. 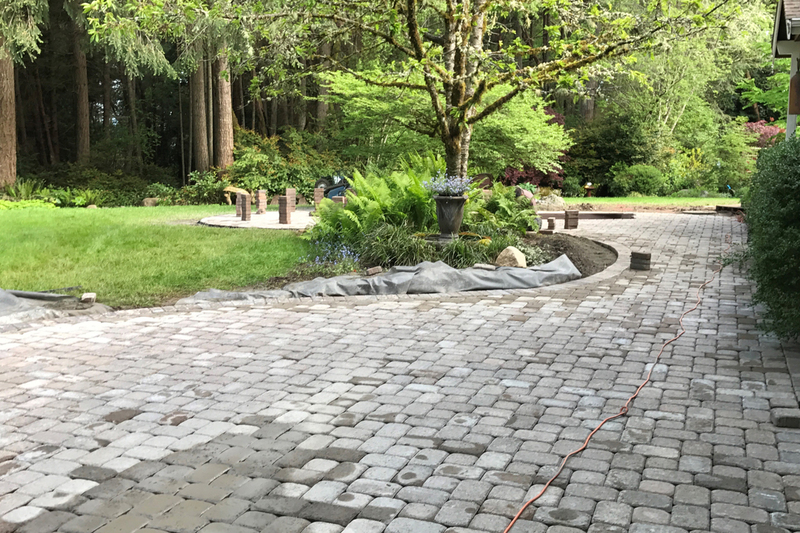 The crew carefully protected the existing tree roots and replaced the old brick patio. 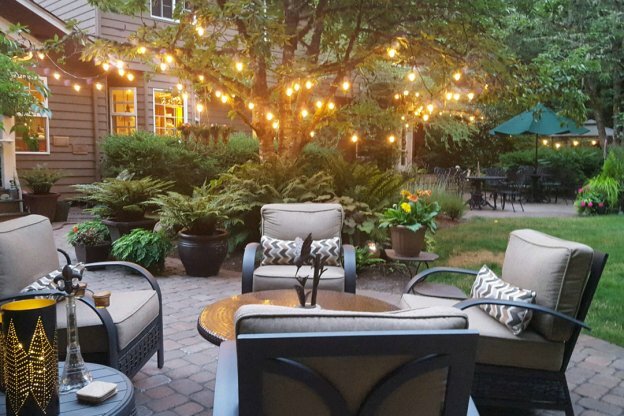 We enlarged the patio space, and created a more useful and inviting area for outdoor entertaining. 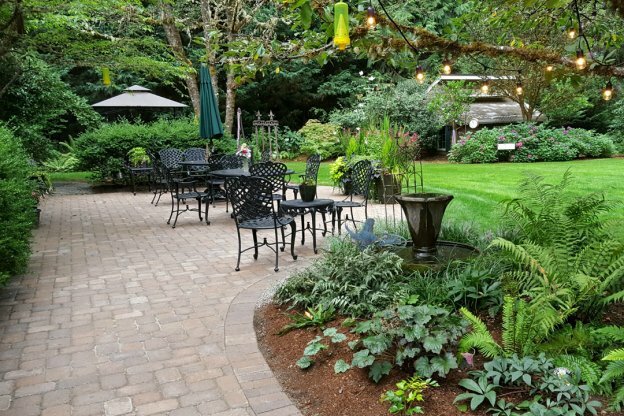 This garden was recently featured on the cover and in an article in ‘West Sound Home’ and ‘Garden Magazine’. Sue Goetz is an award-winning garden designer, writer, and speaker. 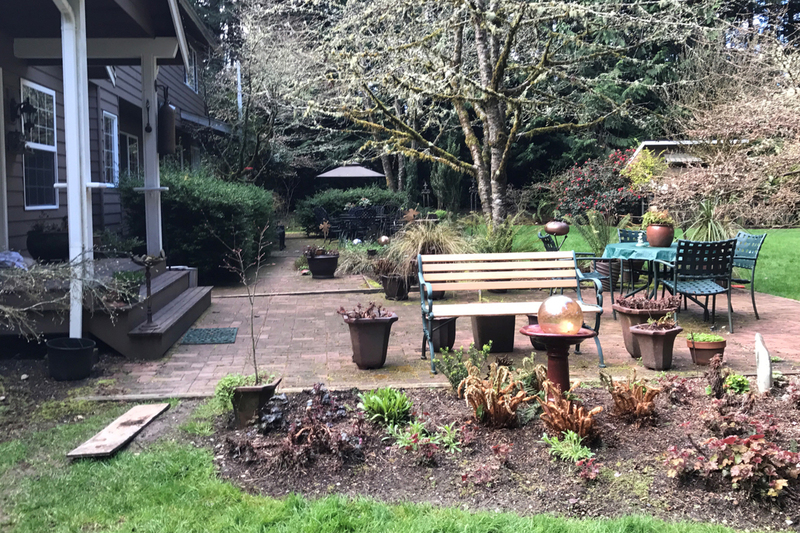 Through her business ‘The Creative Gardener’ and as staff designer with Father Nature Landscapes, she works with clients to personalize outdoor spaces - from garden coaching to full landscape design. 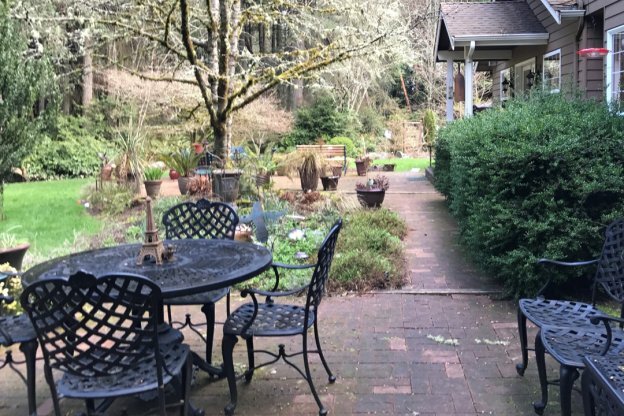 Her design work has earned gold medals at the Northwest Flower & Garden Show and specialty awards including; the Sunset Magazine award, the Fine Gardening magazine award and The American Horticultural Society Award. 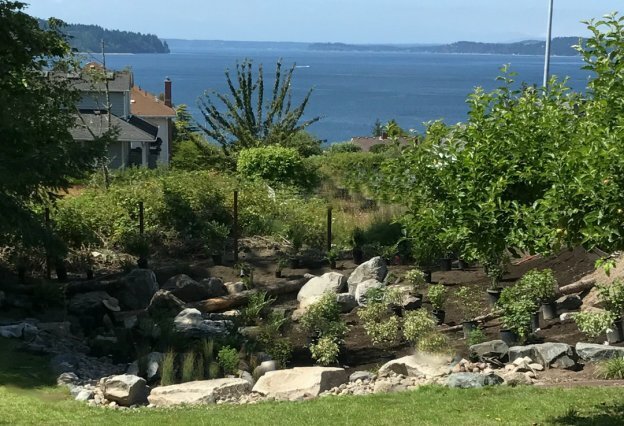 She has been named ‘Educator of the Year’ by the Washington State Nursery and Landscape Association and shares her love of the garden and herb growing nationwide. 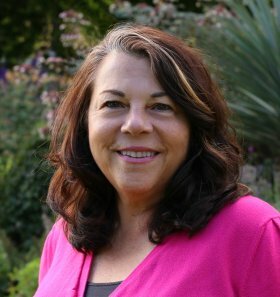 Sue is a member of Garden Writers of America and APLD and her writing has appeared in numerous publications including the Tacoma News Tribune, Seattle Met, APLD Designer magazine, Pacific Horticulture Magazine, and Fine Gardening Magazine. Sue has also been one of the featured artists at the APLDWA’s “4 Muses” art exhibit at the Miller Library in Seattle, a presenter of an APLD workshop, and contributing writer for the APLD ‘Designer’ magazine.